There are over 20 annual and perennial varieties of cosmos, which are part of the aster family and are related to daisies and sunflowers. They come in a variety of colors and sizes ranging from 6 feet tall to barely one foot in height. The annual flowers are easy to grow from seed, which places them on lists of plants that beginners can succeed with. 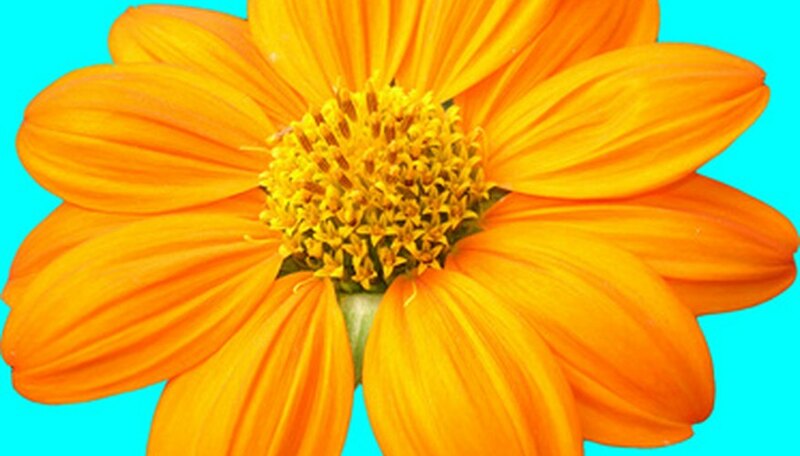 Cosmos have a center disk with petals surrounding it. They can have a single row of petals or a double row that practically obscures the disk from view. Flowers are 2 to 4 inches in diameter. Colors include white, pink, orange, yellow, red and maroon. The leaves are green but vary in shape and growth pattern; this ranges from growing in pairs along the stem to a fern-like leaf. Cosmos in general have a light scent. Cosmos is a Greek word meaning harmony or balanced universe. To Victorians, cosmos were used to signify modesty. Cosmos is native to Central America where it grows wild, especially in Mexico. In some areas of the United States it is considered a weed because it reseeds readily and can be invasive. 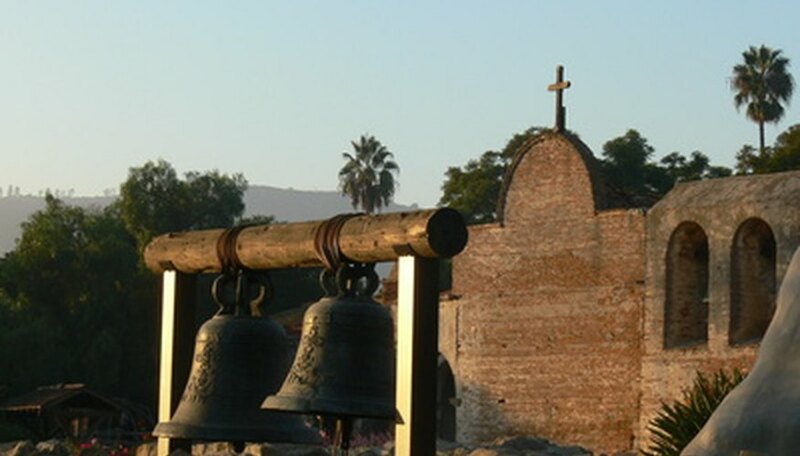 Mission priests in Mexico planted it in the mission garden and it often escaped to grow wild in the meadows. This flower prefers less than perfect soil. When growing in rich soil, Cosmos tend to get lanky and tall. While many leaves and stems may grow, flowers are limited. 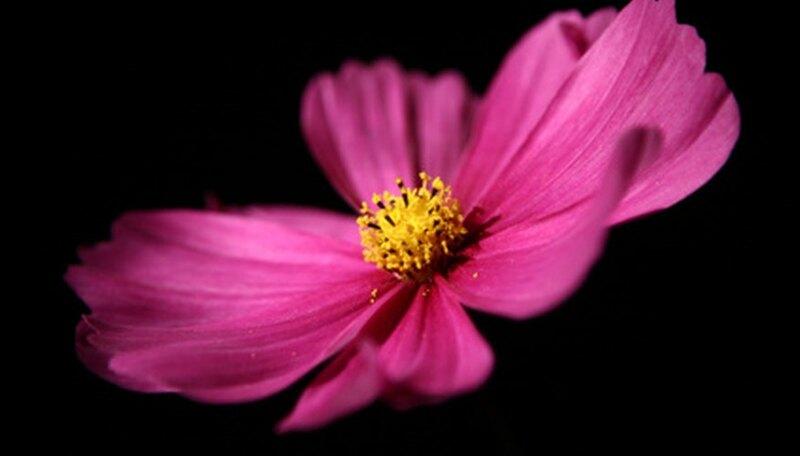 Cosmos grows in either shade or sun but prefer sun. The flowers grow in hot or cool weather. Cosmos is an annual that is grown from seed that is simply pressed into the ground at 8- to 12-inch intervals and left uncovered. In cold climates, March is the month to plant--it is OK to plant before the last frost of the spring. Germination will take place in 7 to 20 days provided the soil around the seeds is kept moist but not soggy for about 10 days. Perennials grow from a rhizome that should be divided every three years. Seedlings do not need to be thinned because the flowers thrive when intertwined. Faded bloom should be removed immediately to encourage more blooms and stop the plants from spreading. The seed pod matures after the bloom period. Water only during dry spells. Cosmos is a drought tolerant plant and needs to be watered once a week or when the plants start to wilt. If watered too often, the plant will stop blooming. Always stake the tall varieties so the stems do not break in the wind. Cosmos are unaffected by pests or diseases and will thrive in any garden. In warm climates cosmos can be planted in spring and cut back to 12 inches after blooming. They will start blooming again in one to two months. The seeds from the annual variety of cosmos can be saved for the next year. Let some of the flowers die and stay on their stems. After the petals have fallen off, cut the stem and hang it upside down to dry. Once the seeds have turned black, pull them off the stem and seal them in a labeled envelope for the next spring. 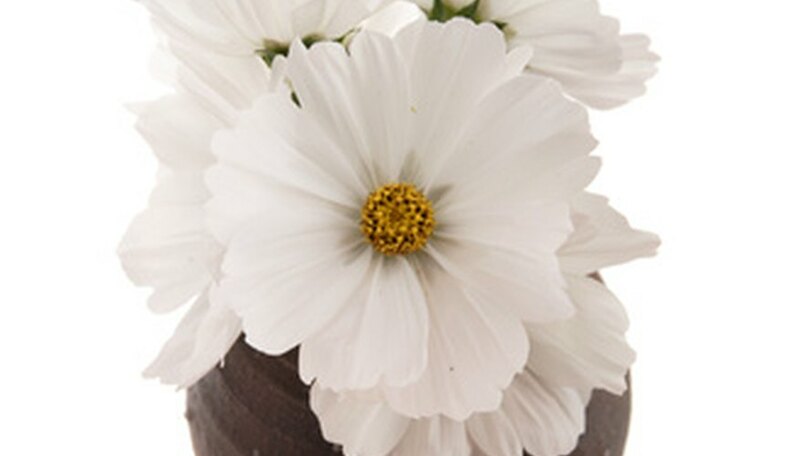 Cosmos lasts about 7 to 10 days after being cut for a vase. The flowers can be dried and used in dry arrangements and in potpourri. The plants are used in the landscape as a background and paired with evergreens. Cosmos attracts butterflies and birds to the garden.